The launch of a new business is always exciting! You’ve probably left your corporate job, told your friends and family about your new venture, and you’re putting the finishing touches on your ideation before going public. It’s been late nights planning your product or service, finalizing your website and getting your social media strategy planned and sorted. Your name is in print, literally and figuratively ☺ Your website has been branded and your electronic stationery has been finalized with your business name. But have you taken the time to choose the right business name? And by right, I mean a business name that beautifully encompasses what you do, what your values are, ensuring it speaks to your target market and is good for brand building? Sometimes business names don’t have intention behind it, and it feels like the business owner didn’t take the right care and attention to choose the most applicable business name. 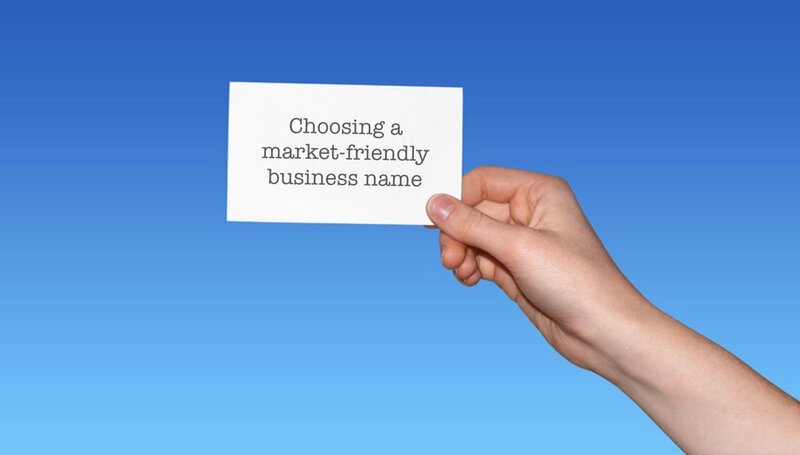 Let’s take you through some guidelines on how to choose your business name and then we can discuss why this is so important. Your business name should be easy to spell, pronounce and most importantly, it needs to be memorable. If you want to test whether your business name meets this criteria why not approach 10 random people, tell them the name and ask them to spell it back to you? Or write it down and ask them to pronounce it. If the majority gets it right, then I would say it is good to go. You want your business name to be memorable; imagine we meet at a networking event and I misplace your business card, if I remember your business name I can at least Google your contact details. It shouldn’t be confused with an existing business or brand. Preferably your business name shouldn’t trigger a mental connection to an existing brand or business. You want your business name to create new neural pathways for your target market. No trademark infringements. In South Africa this may not necessarily be applicable, however, I did come across a Virtual Assistant Agency in Cape Town the other day that was using a trademarked name of a company in the UK who offer a completely different service. Imagine trying to compete with that when your name is Googled. Do your research before registering your business name! Your company name should suggest what you do. A typical and easy example would be companies like AirBnB or Lyft, when you see these names they immediately hint at what they do, if not downright say what they do. You need to own the .com website as well as the social media accounts. In my coaching sessions I’m often asked about owning a .com or co.za website. My response contains the same guidance every time – it is advisable to book both and have the .com rerouted to your .co.za website. However, if you are dealing mostly with international companies I would suggest that you make the .com your main site. The same goes for your social media accounts, once you’ve chosen a name do research to ensure that the social media account names haven’t already been taken. You want to ensure brand uniformity and consistency across all platforms. These aren’t hard and fast rules, rather guidelines to work with. Once chosen, your business name is set in cement and it will be very hard to rebrand down the line. Your business name is your business identity, your brand and says everything about what you do and who you are. Rather spend a few extra days doing research and deciding on a name, then taking the first name that comes to mind! When your brand becomes established and you are a household name in your industry, you’ll thank yourself for taking the time to ensure that your business name is the right fit.